Glenn Bergman is the executive director of Philabundance, the region’s largest hunger-relief organization—acquiring, rescuing and distributing food to help feed those in need, and advocating for policies that increase food access. Philabundance’s mission is to drive hunger from our communities today and end hunger forever. 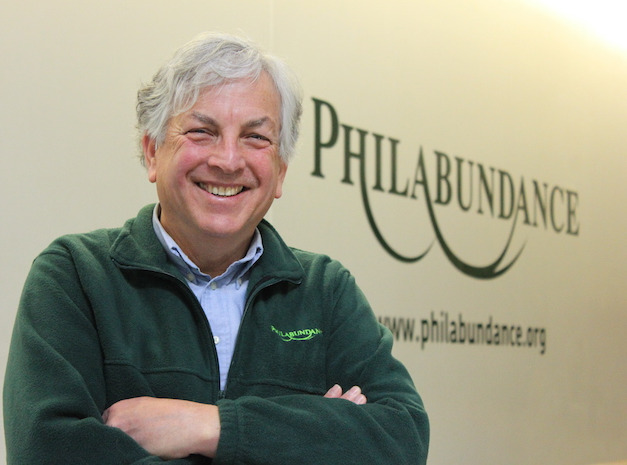 Prior to Philabundance, Glenn was the general manager of Weavers Way Co-Operative Market. Over his 11-year tenure at Weavers Way, he expanded co-op membership and staff, increased annual sales, and expanded its programs to include the operation of four stores, two urban farms and education for children and adults. Glenn has a Bachelor of Science in biology from Fairleigh Dickinson University and a Master of Public Health from Temple University. After spending his early career in public health and healthcare-related positions, Glenn joined the Shooting Stars Corporation restaurant group and then held positions at the Wood Company and Compass Group. Glenn is an avid bicyclist and resides in Mount Airy with his wife, Dianne.